A “Search for Motion at [sitename]” session appears in the session pane. corner of the Search for Motion window. See figure 37, above. Fig. 38. Steps to prepare a search for motion. camera from the Stream list. 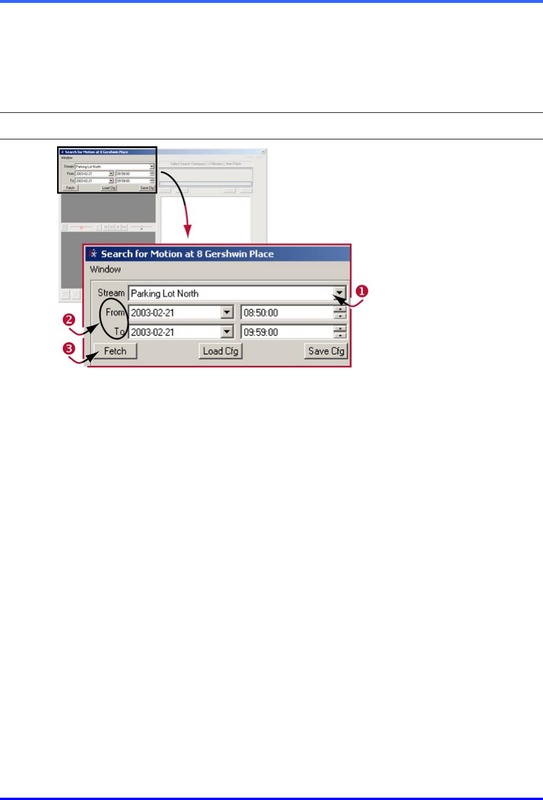 See #1 in figure 38.
calendar utility is available by clicking the From and To arrows. you need change the motion options and search again. shortly, in 5.2.2 and 5.2.3.